Whether you call them Saddle Bags, Motorcycle luggage or panniers, our motorcycle luggage have been eight years in the making. Although we made mistakes all along this journey, we never let our customers pay for them. We take our 100% satisfaction guarantee very seriously. How to keep the price down and maintain high quality? How do we give more than expected? It’s not surprising that most don’t understand the qualities of different grade leathers and I found this out through walk up sales where I explain. Here is a quick lesson. Most sales are claiming genuine leather but stay away from telling you what kind. At the bottom is Pressed Leather or sometimes called Euro leather. This is made from scraps that are ground up with an adhesive and rolled out of a press not unlike particle board. The same thing happens when it gets wet. OK for covering a desktop but not for weather. Companies who sell products made of this will almost never refund or replace because they’re out to steal your money in the first place. 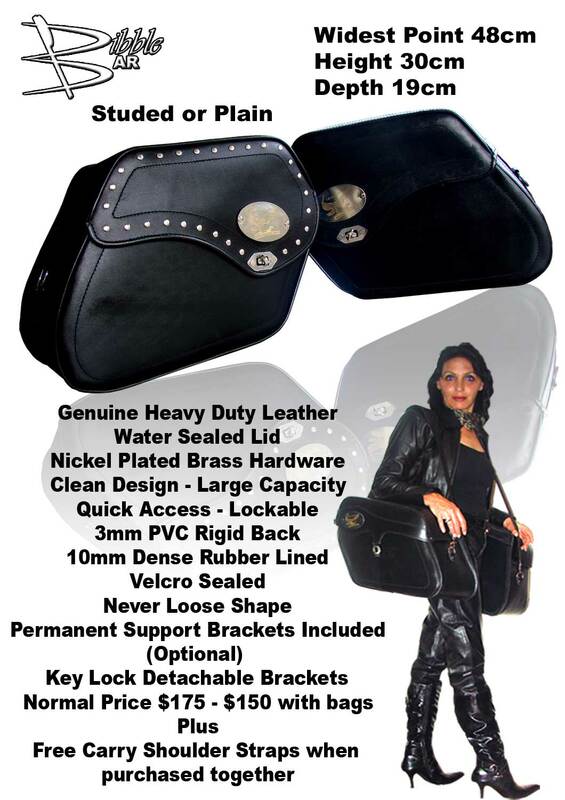 Tech leather (technical leather) is a high durability, leather-like material. It is NOT Vinyl! Tech leather is designed specifically for the outdoors and for automotive applications, with a high level of utilization and element resistance. At the top is Top Grain. This once had fur on it. It may have small flaws from insect bites or scratches etc but it weathers, looks and feels better and will last longer. It’s also a lot more expensive. All Saddle Bags are available in Tech or Premium Leather.